Sheriff's Sales are 'judicial foreclosures' and the order to sell comes from the Superior Court Clerk. We are selling only the judgment debtor's interest in the real estate. It is subject to all existing liens and encumbrances. To find out any lien information, you may need to do a title search through a company authorized to do this. We have limited information about the sale property since we do not need to know any information other than the address and legal description to conduct our sales. It is not possible for potential purchasers to view the interior of the structure prior to the sale. The property sold may have a Redemption Period from eight months to one year. Redemption means that the owner may pay back the amount bid at the sale plus interest, taxes, etc. in order to 'redeem' the property and become the owner again. If you have legal questions about this procedure, you should contact your attorney for direction, or read the Revised Code of the State of Washington pertaining to Redemption. Sheriff sale notices and notices regarding postponements of sales are posted in the Pacific County Courthouse Rotunda, as well as at the Sheriff's Office located on the main floor of the Public Safety Building in South Bend. The sales of real property conducted by the Sheriff are usually published in the Chinook Observer newspaper once per week for four consecutive weeks prior to any sale. Sometimes, we publish in another newspaper at the request of the creditor's attorney. If you are the winning bidder at auction, you must provide the Sheriff with cash or a cashier’s check made payable to the "Pacific County Superior Court Clerk" by 12:00 p.m. or the property will be offered to the next highest bidder. NO EXCEPTIONS. There is usually an opening bid from the judgment creditor; however this figure is usually not available until a day or two before the sale date. The sales are generally held at 10:00 a.m. at the location where the property is being stored. Please see the sale notice for information on particular sales. Sheriff sale notices and notices regarding postponements of sales are posted in the Pacific County Courthouse Rotunda, as well as at the Sheriff's Office located on the main floor of the Public Safety Building in South Bend. 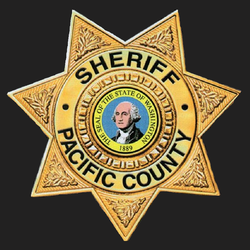 If you are the winning bidder at the sale, you must provide the Sheriff with cash or cashier’s check made payable to the "Pacific County Superior Court Clerk" or the sale will go to the next highest bidder. If you are the successful bidder, we will provide you with a Bill of Sale. There is no right of redemption in personal property sales; however, the items are sold as-is and subject to any liens in place.